Cash is Still King – Build Your Savings! Over the past few weeks, the government shutdown highlighted the lack of savings in America, the number of folks living paycheck-to-paycheck, and the inability or general aversion to saving for a goal. Last week, I wrote a post Government Shutdown Highlights Need for Emergency Fund that you should read if you don’t have an emergency fund. This week, once again I want to focus on savings. Too often I hear people half-jokingly proclaim, I can’t afford to save. I say half-jokingly because for some, their earnings compared to what they need to spend on living is truly a struggle. Especially when what they want to spend is added to the mix. Therein lies one of the biggest culprits of cash savings in America today – lack of delayed gratification for wants, versus paying for current needs. Saving for a goal is a concept that seems downright foreign in today’s world of zero-money-down, same-day-delivery, and buy now! It’s time we get back to understanding the difference between true needs and our wants to de-stress our lives. Save, save, save! Savings add up faster than you think! If you are one of the people out there struggling to save, you can’t afford NOT to save! Witnessing friends and family go through the shutdown should be a wake-up call to kick you into gear to becoming a savings pro! Let’s start with the basics. First of all, we need to embrace saving cash just as much as our desire to shop, be on social media, or any other fixation. Saving cash can lead to a lot of positivity in life. It can help reduce anxiety over money, help you sleep better, fear less, and be prepared when a financial disaster – or opportunity, arises. 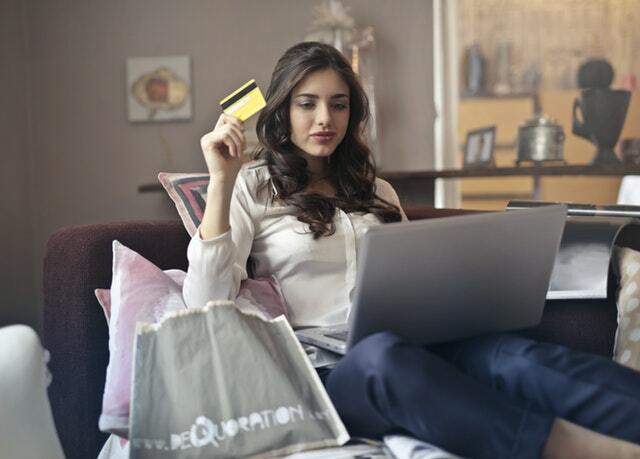 Delaying a purchase goal also provides time to assess if you should really be spending the money, really need the item, or whether it will truly add value to your life. If it does, delaying will make the purchase much more satisfying and meaningful. Remember to pay yourself first. You are the most important person in your earnings world. Without you, there would be no earnings! Take care of yourself and remember that you are debtor number one! Start saving 15%, or more, from the first job you ever have. Get into this habit of paying yourself 15% first and saving will be second nature to you. Saving 15%, or more, from your first job until your last job in your Golden Years will likely ensure that those years are truly golden. Remember, you are probably not alone when it comes to your 15%, or more, savings target. Many people have access to a qualified retirement plan such as a 401(k) or 403(b) through their employer. If the employer offers matching, this match is basically FREE money going into your retirement plan account and the employer’s matching amount can count toward your 15%, or more, savings target. There are ways to boost your savings immediately. All of us have very nice, usable items around the house that we no longer need. Sell them! It’s a quick cash boost. You can hold an old-fashioned rummage sale, or step it up and use an app. Whatever works for you. If you have a side-gig, save money from the side-gig. Are you hitting up the local coffee shop a couple of times per day? Eliminate just four visits per week and that is approximately $20 in immediate savings. Translation, $1,040 per year! How many of us set the coffee machine at home on automatic to brew a pot of coffee, have a quick cup, dash out the door and leave nearly a pot full of coffee behind? We complain about the office coffee or end up buying premium a few times per day. Coffee we make at home is probably much better and more to our liking so dig out that thermos and start taking it with you! Another activity to boost your savings immediately is to review your cash flow monthly. Check for items such as memberships, subscriptions, home delivery, or any auto-pay item that you are not actually using. Cancel it! Make micropayments on your credit cards. Over time this will not only reduce your debt faster, but it will boost your credit score and put you into a better qualifying position for lower interest rates on borrowed money. Read more on How to Improve Your Credit Score here. Set up separate savings and checking accounts. Have a savings amount automatically transferred on payday directly into your savings. If it’s not in your checking account, you likely won’t miss it and be tempted to spend it. Use a spending app on your phone to get alerts when you are close to budget limits you have setup. Sometimes just a reminder will do the trick to keep savings in line. Find an app that works for you and put it to good use.